▶▶ The Handsfree mode only works with the iPhone 6/6S (Not the iPhone 6+/6S+) and must be used on a polished level surface (granite/marble counter top or wood desk). 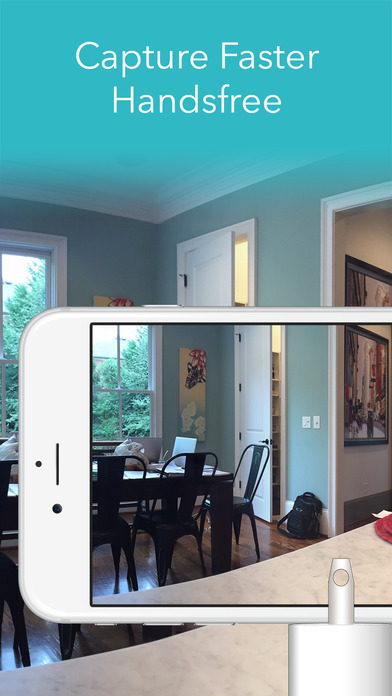 Cycloramic Revolutionizes the way you take panoramic photos and videos! Handsfree! 15 Million total downloads worldwide. 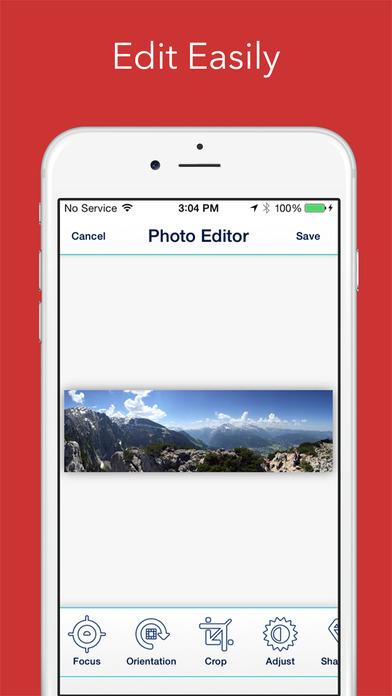 ▶ GUIDED Mode (All iPhones and iPads): The easiest, fastest panorama taking app. Just follow the guided system to take the perfect panorama photo every time. ▶ HANDSFREE Mode (iPhone 6 ONLY): This revolutionary, fully automated mode lets your phone do all the work. - The easiest panorama guidance system. 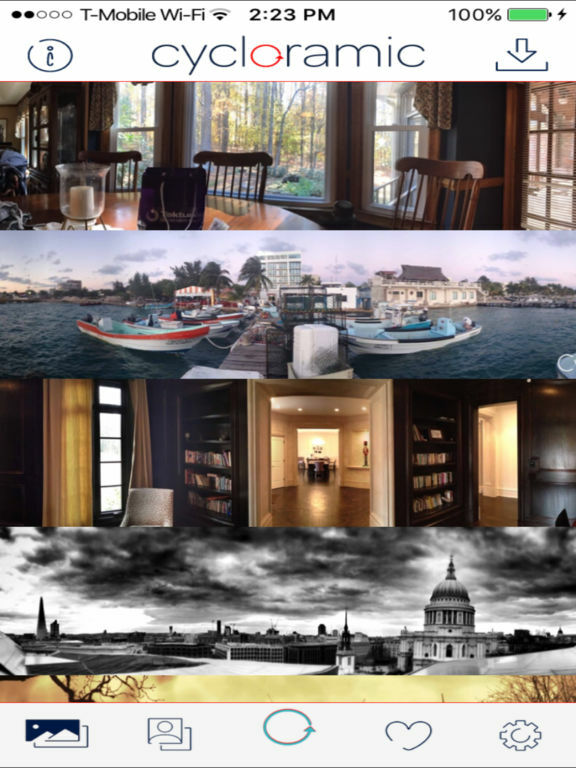 - up to 360-degree panoramas.